Don’t Wait to start growing your practice and increasing your revenue. 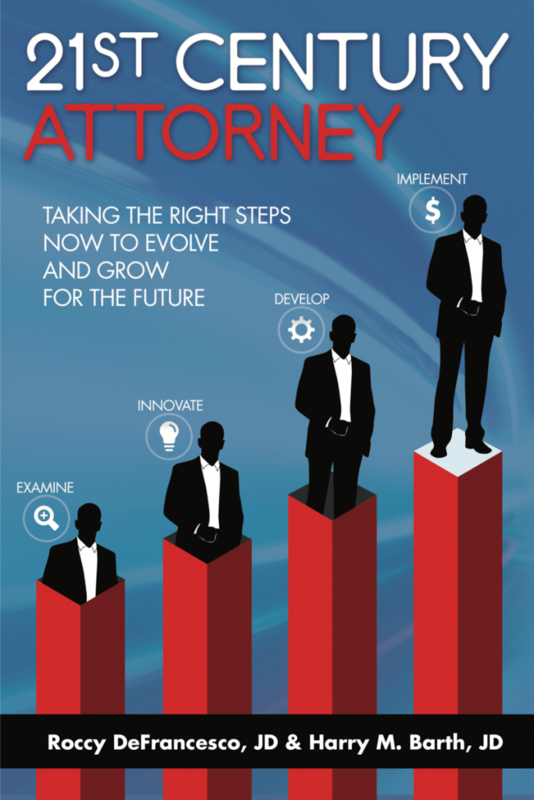 Our vision of what a 21st Century attorney is and a road map for how to get there. What type of attorney are you? Most simply focus on document preparation of wills, trusts, durable powers, and potentially special needs and Medicaid planning. So much more could be offered. Most PI attorneys like to do one thing and one thing only, e.g., get cases in the door, work them up, and settle them in manner that’s fair to their clients. In most cities of any size, there are one or more law firms that do not specialize in one area of practice but instead cover several different areas of law (estate planning, corporate, general litigation, patent law, criminal, etc.). There are other types of attorneys who are not candidates to become a 21st Century attorneys. As you are reading the book, you should see a few constant themes that run throughout (we hope you see them). If you do and if you find yourself nodding ‘yes’ a lot when you are reading, then you are a good candidate to become a 21st Century attorney.